My Metal Connection is one of my favorite songs from the Austria band, ABIGOR. This song was from their 1994 full length album, Verwüstung. The band is still active and have released several albums since this one, but this strong beer from this Austrian brewery, really made me think of this band, and like I said, I chose one of my favorite songs by them! Hails! 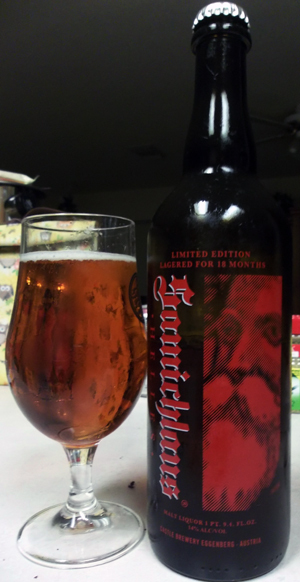 ‹ PreviousReview: Attack of the Fruit Beer!